Very good worker. Positive attitude, positive company. Fast worker, always gets everything done. Very kind and friendly. Always makes me smile. We always have a great day. I enjoy this company very much. I love working for Senior Services Unlimited. You can trust your loved one here. The caregivers have been there for years! The background checks and extensive interview process plays a big role. Plus they have been around since 1987. I've used Senior Services Unlimited for a few days. I am happy with it. I am getting to the point where I can do more for myself and do not know how much longer I will need them. The two caregivers are very good. The billing and scheduling are fine. I get what I need, so I am very satisfied and will recommend them. Senior Services is very good, their service is excellent, and a caregiver comes 3x a week. I have one regular female caregiver. She is skilled. Cathy is an “angel in disguise”. I am very blessed to have Cathy @ Senior Services Unlimited come to my home to assist me. She is a wonderful person. We are using Senior Services for 24hr care for my parents. The care, love and attention we receive from the caregivers is exceptional-they seem to be more of a loving extension of our family not just a caregiver. We are fortunate to have an organization that is able to cover 24hr services which allows my parents to remain in the home. We are so grateful we found Senior Services Unlimited and that he was assigned with two angels to care for him. We will be forever grateful for the kind, gentle and compassionate care both Celeste and Clara provided to Dad every day. We had complete confidence and trust in each of them. We were very satisfied with this company and the service they provided for us. The employee Sandy was very respectful and helpful with my uncle. She was a great housekeeper. Senior Services were willing to negotiate the price, had a better billing process, and sent someone out who had experience with dementia and Alzheimer’s. I think I called them on a Wednesday, and they were able to fill the position that Friday. The staff is friendly and knowledgeable. At one point, she was coming on time, but she’s moved and her distance is a little farther, so she’s still trying to work with being on time. Other than that, she’s pretty good. The nurse aids have been very attentive and have gone over my expectations. I was afraid to shave my father so one of the nurse aids shaved him for me, which was wonderful. Thank you Jenny. Quality of service has been prompt and delivered as promised. Your office personnel is as concerned as the caregiver. I appreciate your added efforts. Senior Services were a great help to us. Although the time was short, the assistance with our mother was greatly appreciated. The information provided to us was also appreciated. The caregiver really cared. Having a close friend with no relations, I researched and decided to use Senior Services Unlimited for her. My friend's caregivers were the absolute best and took care of her for over a year until she passed away. I never had to worry about her with the 24/7 care. I highly recommend Senior Services Unlimited. I am very pleased with Senior Services Unlimited. They have and continue to provide excellent 24/7 care for my 100 year-old mother. The caregivers have been extremely kind, considerate and professional. I would recommend them without hesitation! The caregiver from Senior Services Unlimited was excellent and very reliable. I have used this service for over 10 years. They are very professional, dependable, and honest. My mom is 93 and is a disabled amputee and hardheaded. They not only provide expert care, but great companionship and keep her entertained and happy. We have had several caregivers with only 1 hiccup which was dealt with immediately. We chose Senior Services because my family used them once before. We had some problems with some of the people who filled in for the rgular caretakers. I think it was about four different people. One had a severe health problem -- so severe indeed that she shortly went into the hospital soon thereafter and passed away. Another person had a physical limitation that she -- in the process of going down some steps -- fell into a wall and dislocated her shoulder. The third one had transportation problems and didn't seem to be able to get those straightened out. The fourth one simply had an attitude. So this was for four weeks, but the most recent person who filled in on the weekend or whatever seems to be OK. As far as the regular person that is basically taking care of or being a companion to my sister-in-law, she seems to be quite qualified. We are so pleased that you decided to utilize our services again with another family member. We do try very hard to match new clients with the right caregivers from our staff. There are many factors that must be considered when assigning our caregivers to a new client. Occasionally, it does not work out, and we must assign a new caregiver. We are happy to hear that you are now pleased with the current caregivers that are caring for you loved one. Client satisfaction is most important to us. Thank you again for your continued business with our company. The quality of service is just wonderful. With my caregiver, she can take me to the doctor, grocery store or the beauty shop. We have a very good friendship. Judy is a very good worker, a wonderful companion and friend. I am satisfied with the service. I recommend her to anyone who needs service. Senior Services was wonderful. Everyone was kind, caring, and a great help. We could not have had better care for our mother. Senior Services Unlimited provides professional, polite, empathetic caregivers. The company goes to great lengths to ensure quality care. The management team is approachable and encourages feedback. 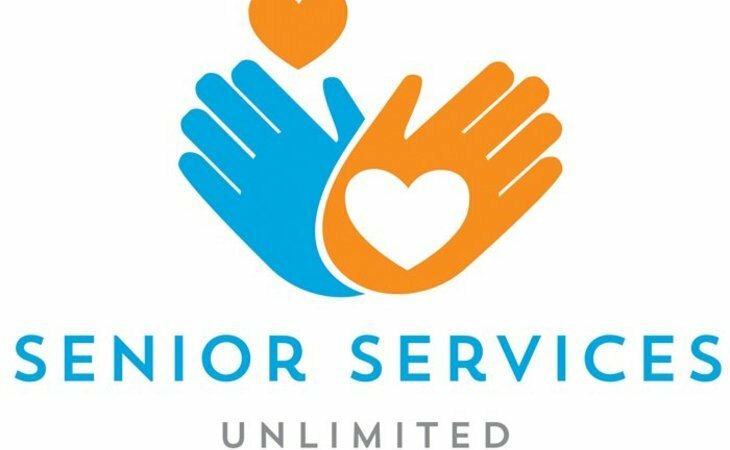 Senior Services Unlimited is a company worth your consideration. Very responsive to our request, explained services clearly, in-home person was very helpful, positive, and did a wonderful job. The service I receive from my caregiver is just great. We go to the bank, groceries shopping, doctor, drugstore, and have lunch. She helps with some of my bills. We are very good friends. The two caregivers from Senior Services Unlimited couldn't have been any nicer. They made sure that my mom did what she could to stay active. They assisted my mom or did what she couldn't. The light house work and the laundry was a great help too. I hope they are available when Kathy and I will need them. Karen of Senior Services Unlimited gave my husband excellent care. He smiled from the first day she walked in the door. She could also get my husband to laugh. My caregiver is always on time. Her conduct is professional. She gives undivided attention to her patient (client). She is very caring and understanding of her client. We rate her great. Thank you. My mother was well into her nineties and had dementia as well as some difficult health issues. She had great caregivers who really seemed to care about her and looked after her well. I would like to take this opportunity to let you know what a tremendous job Gina did caring for my father Harold. The day after we met, which was a Saturday, Gina called early Sunday morning to see how he was doing. This immediately told me that she cares deeply for seniors. My father was not the easiest person to care for. His ability to come to terms with his need to have protective oversight caused him to have pretty severe mood swings. Gina handled each one with compassion and love. She stayed up with him at night, held his hand and comforted him while I was on the phone with him. This is pretty awesome. Senior Services were fabulous. They were recommended by a friend who used them. They were highly recommended and then I actually met the owner and interviewed with him. He was very accommodating. It just seemed like they had all the right answers. My brother was in assisted living and he needed full care. They were good. Some are better than others but all in all they're good. The caregivers were really good. The management was good too. The only downside is the initial scheduling and finding the right person to match my dad back then. We had some issues in the beginning in finding the right person but once we got the right person everything was fine. Our mom, Carole, passed away in January. We want to thank all of you for the loving, professional care that was shown to her while your staff was helping us over the last month. It gave us comfort to know that she was in good hands when we could not be there ourselves. All of these ladies are truly angels on Earth! They started out just providing care for a few hours per week. Everything went well with that. We went into a little more extended care. I did have 2 issues with some of the caregivers but they were addressed. They worked with me to correct those issues and find other workers. Now, I have round the clock care for my mom with one of their workers and I could not be more pleased with her. Other than a few bumps in the road, we've done well. Sometimes I give short notice or changes and they're been responsive and worked with me on that. The caregiver we have now is very very caring and efficient. I'd say she really goes above and beyond her required duties. I'm satisfied with Senior Services Unlimited. They're normally on time. If I have a situation that's kind of critical as far as arriving on time, I will just have them come in a little earlier. The people they've sent have been good, friendly, and got along good with my wife. The only thing I require them is to keep a close eye on my wife. They have a 2-hour minimum, and I can understand because I'm sure they don't pay their people a whole lot of money. As far as the rates, they always call me back. I'll call in and request for date and time. Either at the end of the week or the very start of next week, they'll call me with a confirmation again on that date and time. We have been providing home care to area seniors since 1987. Our goal is to provide top quality services at the most reasonable price. We are an accredited business with the BBB (A+ Rating). We are family owned and operated. Caregivers are able to provide assistance with the following: personal care, meal preparation, housework/laundry, medication reminders, errands/transportation, ambulation assistance, Alzheimers/Dementia care, respite care, hospice assistance, exercises, and companionship. We can provide assistance to for your loved one for as little as a few hours per week, or up to 24 hours per day. Billing is done on a weekly basis, and there is no contract required to start services. All caregivers are: bonded, drug tested, insured, covered under workers compensation, and registered with the state on the Family Care Safety Registry. We have a wide range of caregivers on staff including: Companions, Housekeepers, Nurse Aide, Certified Nurse Aide, LPNs, And RNs. What should caregivers and potential clients know about Senior Services Unlimited?